A very well presented example with full history and manuals. Powered by a frugal Yanmar diesel engine she has hot water and diesel fired warm air heating along with 4 berths in the main saloon and an optional 2 berths in the aft cockpit. She is in her original gelcoat that bears few marks and the quality aft cockpit canopy is only 2 years old. Very much ready to enjoy she has a BSC until August 2022. 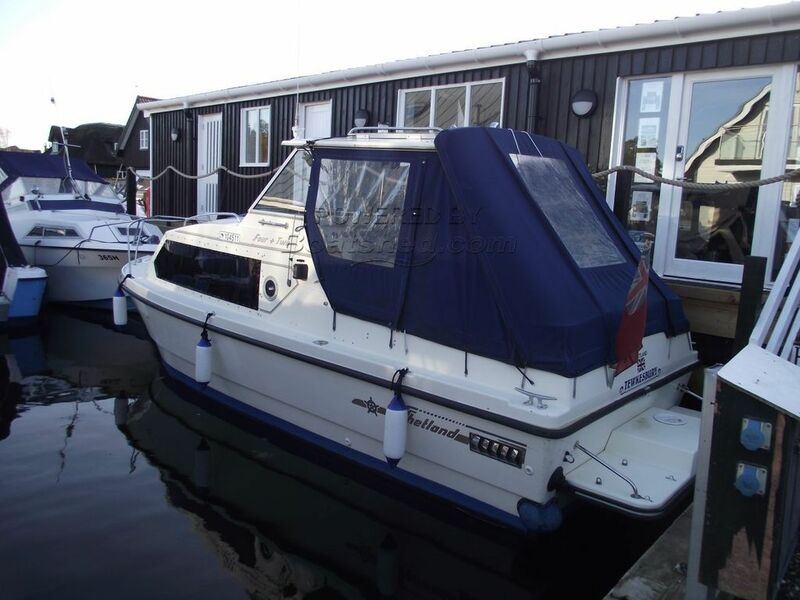 This Shetland 4 Plus 2 has been personally photographed and viewed by Gary of Boatshed Norfolk. Click here for contact details.